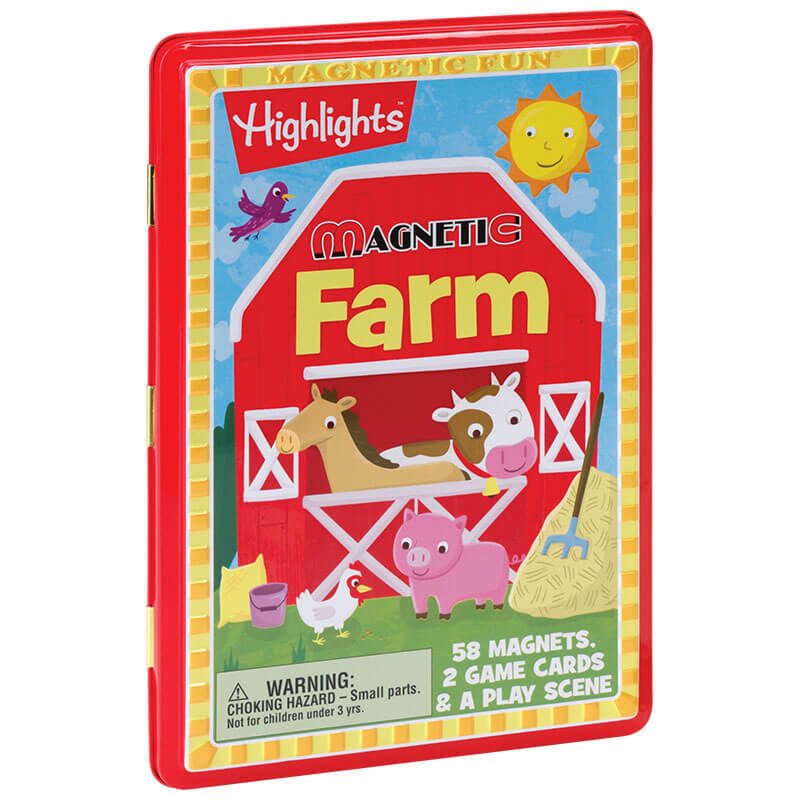 Your kids can build the farm of their dreams with Highlights Magnetic Farm Tin! 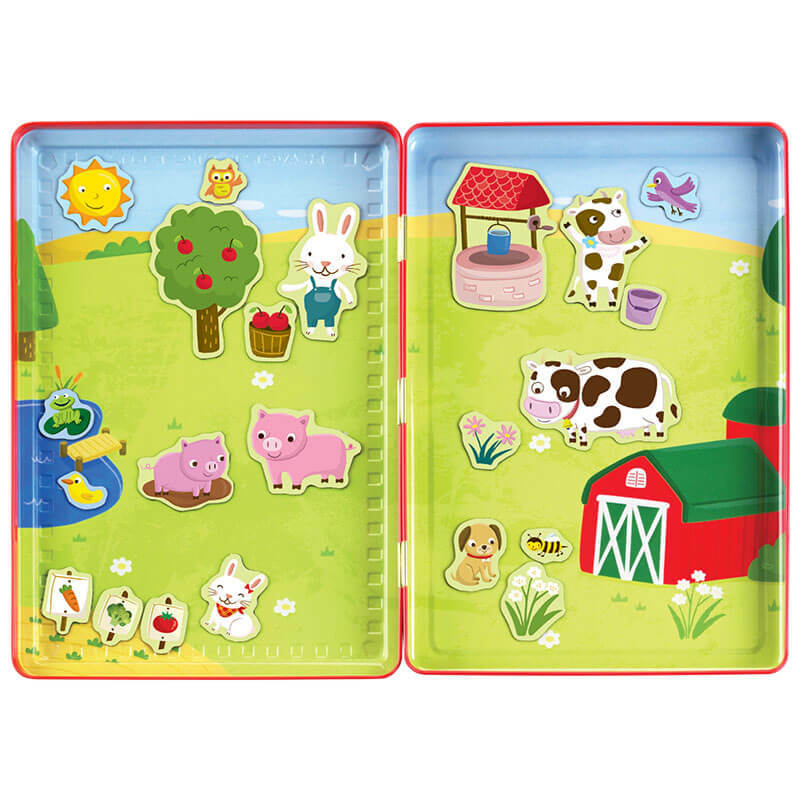 With 58 magnets to decorate with, kids will have endless imaginative play and story-crafting possibilities. 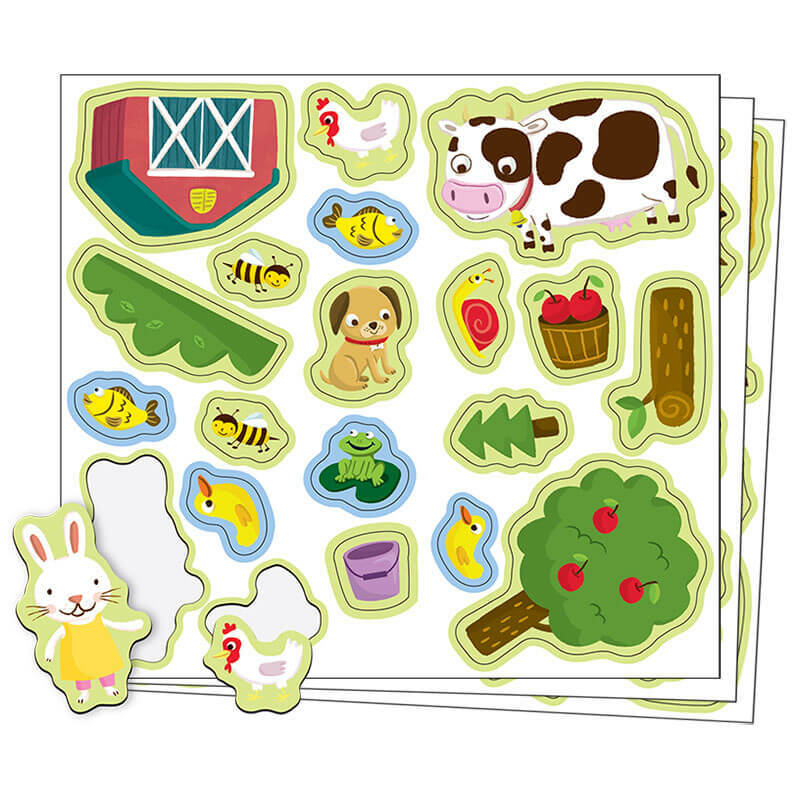 They can put a frog and cattails in the pond, and have a friendly sun shine down on all the charming bunnies, cows and chickens. Two game cards add to the fun. 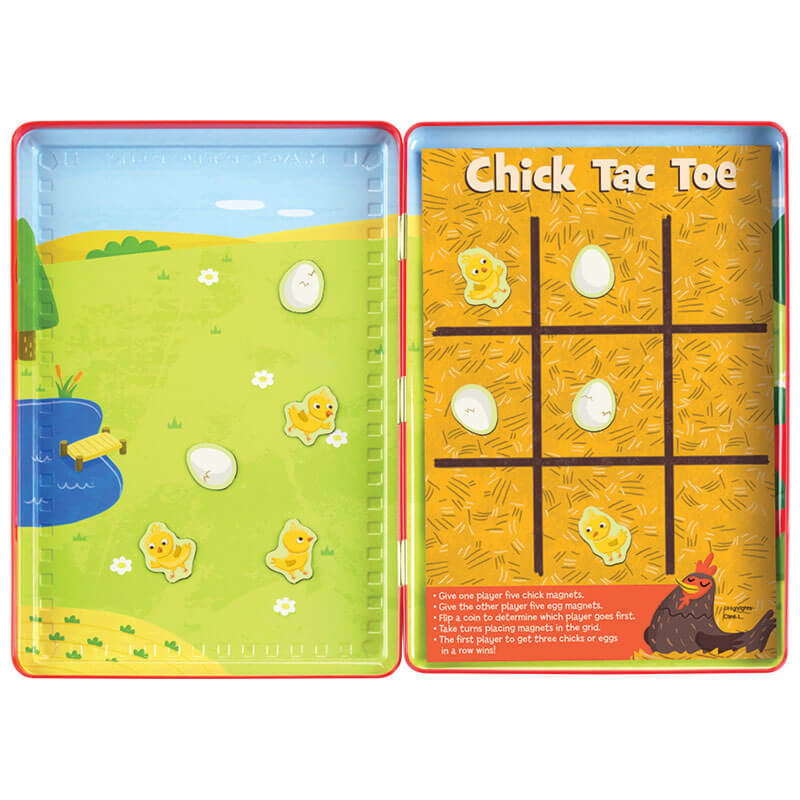 Chicks and eggs make perfect markers for the “chick tac toe” game on a hay bale background. And who won’t love helping the calf find her mama in the maze? 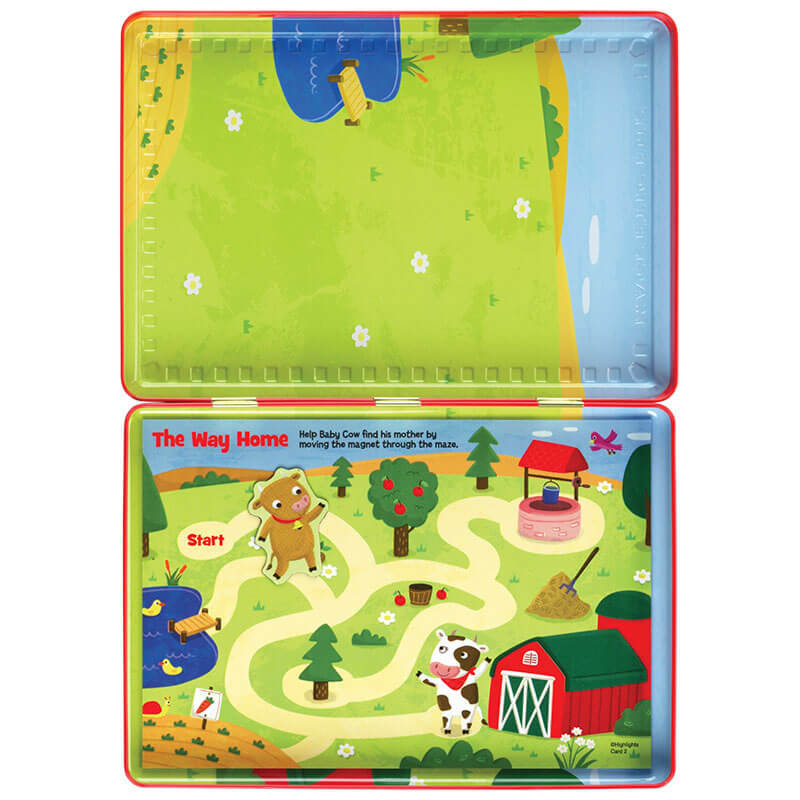 The farm kit is great for road trips, because the pieces stay put, and when the kids are done playing, everything stores inside for safekeeping. Product Dimensions: 6" x 8.5"